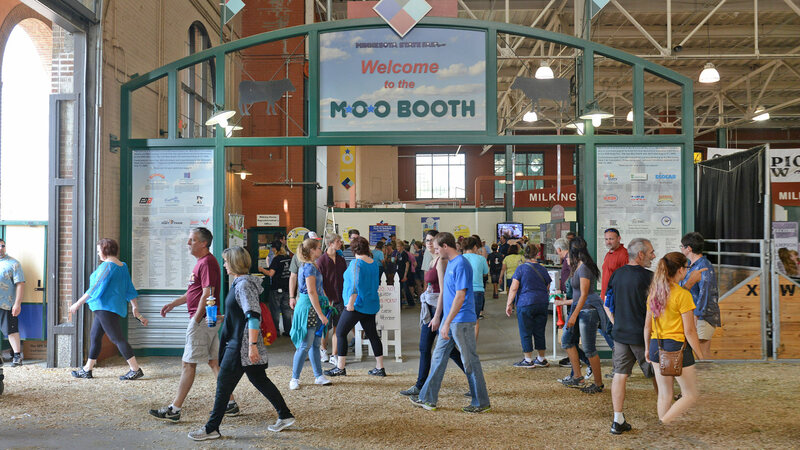 The award-winning Moo Booth swings open the barn doors (literally) for a cow-to-kitchen showcase of dairy and beef cattle farming – a fascinating mix of science, technology expertise and hard work. Stop on by to see a milking machine up close, hand milk a cow, meet cattle, compete in contests and learn, learn, learn! Free prizes and dairy product samples available, too.